Hill Top Commercial Storage offers truck drivers, construction contractors, highway contractors, independent operators, truck fleets, and enterprises commercial parking & storage services. Hill Top Commercial Storage services Maryland, Pennsylvania, Virginia, West Virginia, and the Washington DC Metro area customers from its location between exists 22 & 26 on 9520 Fire Tower Rd, in Hyattstown, Maryland. The property is family owned and operated on site by Joe Jeffery and his team, who have over 50 combined years experience in the commercial construction and property management industries. 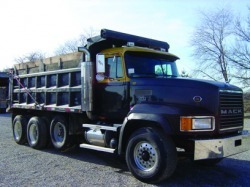 On call mechanic services are available for fleets, trucks and RVs.